Piper made her NCAA picks this week. She chose mostly based on the team’s mascots. She’s partial to birds, dogs, and cats, of course. 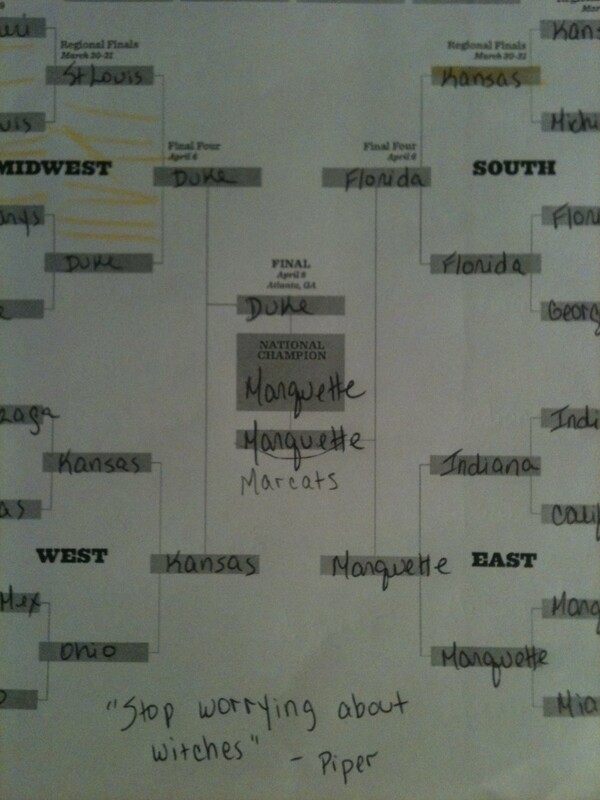 After a lot of simulated animal noises to imagine the battles, Piper picked…Marcats to win it all. Meow. This entry was posted in Antics and Adventures and tagged cats, dogs, duke, Florida, kansas, march madness, marquette, ncaa by melissa.scholes.young. Bookmark the permalink.